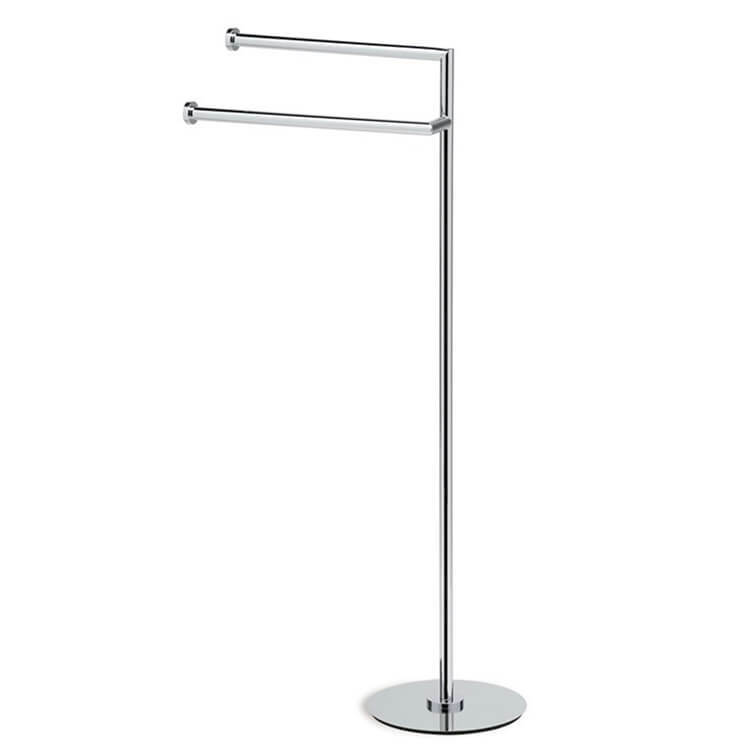 Look no further for a towel stand with clean edges and sharp lines. This free standing towel rack is made of brass and is available in three finishes (chrome, black and satin nickel). This piece is a simple and sturdy floor standing towel rack that includes a rectangular base as well as two towel tails, easily holding two towels.